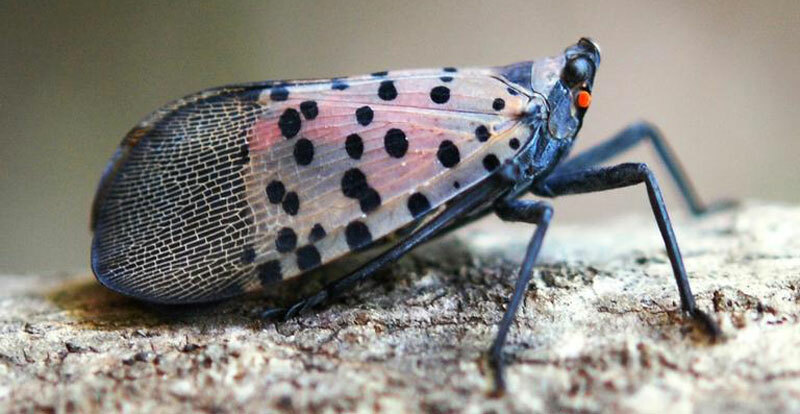 Please be on the lookout for an invasive insect called the spotted lanternfly (SLF). Not only can it damage many kinds of plants, it can secrete so much messy “honeydew” that people can’t go outside without getting honeydew on their hair and clothes, according to the New York State Department of Environmental Conservation (DEC). The SLF was first found in Pennsylvania in 2014. A single, dead SLF adult was found in New York this past autumn. The SLF is an invasive pest from Asia that feeds on more than 70 plant species including tree-of-heaven (Ailanthus altissima), maples, apple trees, grapevine and hops. SLF feedings can stress plants, making them vulnerable to disease and attacks from other insects. 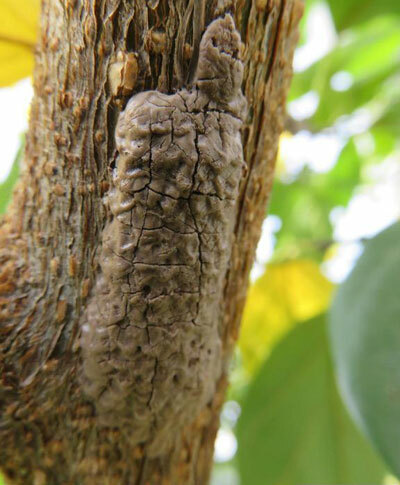 SLF also excretes large amounts of sticky honeydew, which attracts sooty molds that interfere with plant photosynthesis, negatively affecting the growth and fruit yield of plants. Although native insects also secrete honeydew, the size of the SLF and the size of the populations of this pest result in large accumulations of honeydew. The sticky mess and the swarms of insects it attracts can significantly hinder outdoor activities. In Pennsylvania, where SLF populations are the densest, people can’t go outside without getting honeydew on their hair, clothes and other belongings. If you see what you think are signs of the SLF, please take photographs and note the location where you found the insect, egg masses, and/or infestation signs. Email the information to spottedlanternfly@dec.ny.gov. SLF nymphs, or young insects, are black with white spots and turn red before transitioning into adults. Adults, which resemble moths, begin to appear in July and are approximately one-inch long and half an inch wide at rest, with eye-catching wings. Sap oozing or weeping from tiny open wounds on tree trunks, which appear wet and give off fermented odors. One-inch long egg masses that are brownish-gray, waxy and mud-like when new. Old egg masses are brown and scaly. See more images on the DEC’s spotted lanternfly webpage. Since it is less expensive and easier to deal with a pest before it becomes widespread, the goal is to find the SLF early or prevent individual SLF’s from entering New York altogether. Extensive trapping surveys will be conducted in high-risk areas throughout the state. There will also be inspections of nursery stock, stone shipments and commercial transports from Pennsylvania. 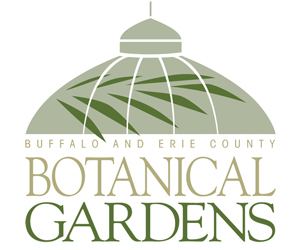 The New York State DEC is working with the New York State Department of Agriculture and Markets (DAM), the New York State Department of Parks and the U.S. Department of Agriculture. Another way you can help is to take steps so you don’t spread this invasive pest. While the insect can jump and fly short distances, these pests spread primarily through human activity. SLF lay their eggs on surfaces including vehicles, stone, rusty metal, outdoor furniture and firewood. When these items are moved, the insects can hitch rides to new areas and therefore be easily transported into New York. 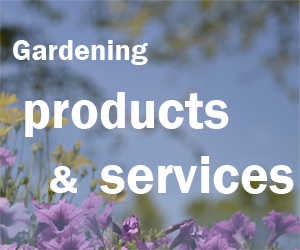 Inspect outdoor items such as vehicles and firewood for egg masses. If visiting Pennsylvania or other states with SLF, check equipment and gear before leaving and scrape off any egg masses. Is there something recommended to kill this invader?? Does any other bug/fly look like it???? Nancy, you can see more photos of the SLF and more information on it on the DEC’s page SLF page here. I’ve never seen anything that looks similar to the SLF, so if you think you have seen one, please report it. At this point, gardeners don’t really have to worry about insecticides– only one SLF has been found in New York State. Several agencies are working together to prevent its spread. If you think you have seen one, or seen other signs of infestation, please report it. Again, all the information is on the DEC page.